Merry Christmas and seasons greetings to you all. We would like to take a moment to share our public GitHub beta repo for any devs or technically inclined users that would like to check out what we have been working on for the last few months. PLEASE NOTE: This build is intended for developer testing. We ask that users please be patient and allow devs to test and give feedback before attempting to install and/or switch to the main network. This current dev beta version 0.0.4 is locked on the test network and must be run from terminal. I’m sure a couple ppl out there will be able to fiddle around and switch to the main net. We will upload the Main Net branch later this week along with adding ledger support and exchange to the build. Instructions on how to run and dependencies are in the readme. We have had an incredible amount of encouragement, feedback and suggestions and would like to thank the entire NEO community for your patience and continued support. Our plan has always been to create a powerful multi-asset blockchain manager that will rival wallets/services like Exodus and Jaxx and with your continued support and feedback we hope to do so in 2018. 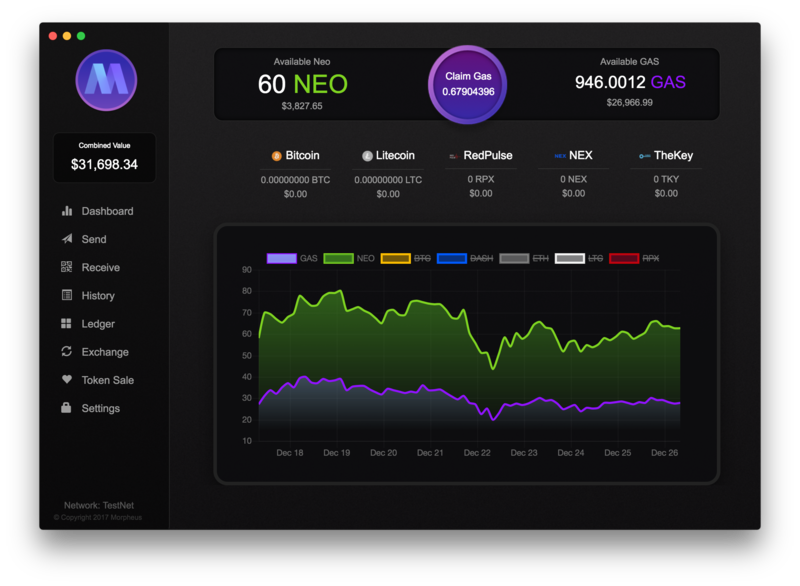 We plan to add support for all NEO/NEP tokens past/present along with some other popular ERC tokens and currencies (BTC, LTC etc) to make Morpheus a true multi-asset manager. 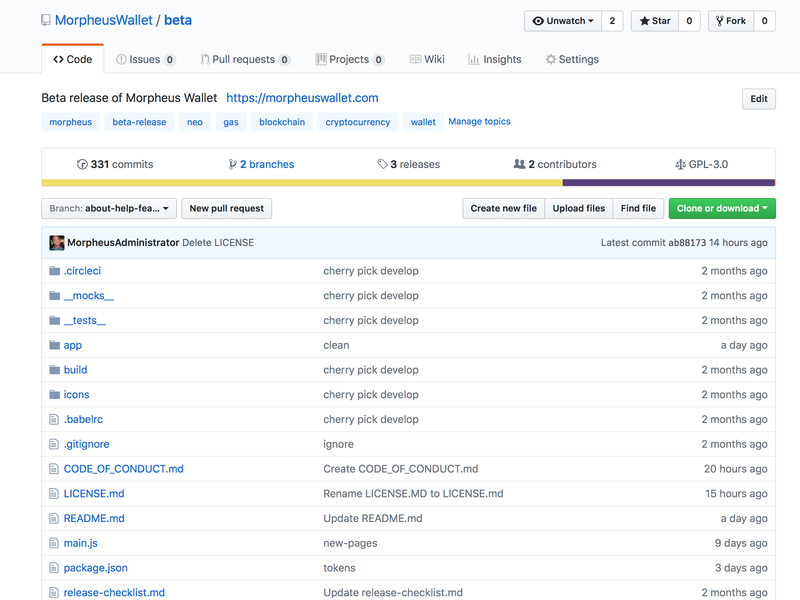 If you have any features/tokens you would like to see supported by Morpheus, please let us know. Thank you all, and we look forward to your feedback and suggestions.